The Holiday Goddess Handbag Guide to Paris, London, New York and Rome is out now through HarperCollins. Buy now! Brand New Brixton is becoming one of London’s funkiest destinations, writes Holiday Goddess editor Jessica Adams. Riots? What riots? Within hours of the Summer 2011 troubles, locals were taking to the streets with brooms in an energetic clean-up – while the proprietress of the cult bakery Ms Cupcake (408 Coldharbour Lane) was handing out free iced cakes to local people. A new wave of artisans, chefs, foodies, vintage boutique owners and designers has met the old wave (Brixton Market fishmongers and exotic greengrocers) squarely in the middle – in a gorgeous, restored 1930s shopping arcade, next to Brixton tube station. Brixton Village is on Atlantic Road, in what used to be known as Granville Arcade. It’s light, bright and airy inside thanks to the high glass ceilings. Inside it’s been painted in ice-cream colours with New York-style street signs pointing the way. Inside Brixton Village, you’ll find some wonderful retro clothing and accessory shops, and some hip designer originals. Brixton Village is full of good ideas, as well as irresistible places to stop and eat. The original Brixton Market is just steps away, on Electric Avenue (immortalised by Eddy Grant). When you arrive in Brixton at the tube station, both will be easy to find. Follow the music. Or just follow your nose, because the smell of good, strong coffee is unmistakeable. Brixton Market has it all. Hundreds of wigs. Plenty of delicatessens. And most tempting of all, old-fashioned fishmongers with dozens of whole trout and salmon on slabs of ice (at non-supermarket prices). Brixton Market is also the place to come for the most exotic fruit and vegetables in the city. Expect to find the freshest ginger, coconuts, lime and red hot chilli peppers by the bag. If you’re in Brixton for lunch, make sure you bag a seat early inside Brixton Village. It offers a huge range of cafes and restaurants, but by 1.30pm on the weekend it can be hard to find a space. 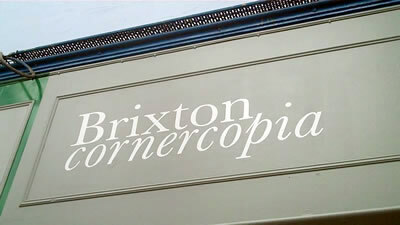 Brixton Cornercopia is my favourite, and it really is on the corner of one of the Village avenues. It offers what they call ‘ultra-local food’ and when I visited in summer, they were specialising in old-fashioned British menu favourites – like their own handmade sausages and special baked beans on sourdough toast. The cooks here have also created an amazing Brixton elderberry and cassis parfait. The honey here is made by busy South London bees and the damsons come from nearby Brockwell Park. Brixton is also the best place in London to find Afro-Caribbean food and fabric. 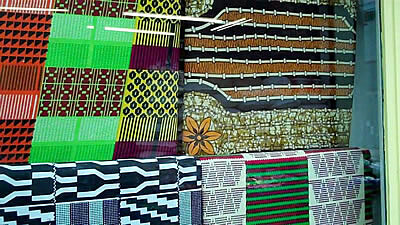 African Queen Fabrics Ltd takes up almost half the space in one avenue inside Brixton Village, and has a huge selection of loud, proud African material on sale – no matter if you want to create your own sarong or design a cushion cover. Away from Brixton Village, don’t miss the cafe owned by ‘the alternative Nigella’ – the hip young cook and author Rosie Lovell, whose book Spooning With Rosie is published by Fourth Estate. Her grandmother paid for her first coffee machine and the rest is history. Basement Jaxx are fans of Rosie’s food, and so are all the yummy mummies coming in from nearby Clapham. Rosie’s organic-ingredient deli is at 14E Market Row. For more on Rosie’s Deli Cafe, and some free recipes, visit www.rosiesdelicafe.com. The New Brixton is foodie-friendly and irresistible. Add a ska soundtrack from the music shops that line the market and you have a wonderful morning or afternoon escape – just a short train ride from Victoria Station in central London. If you love cooking, then this is the place to take your Jamaican and Afro-Caribbean recipe book, and your funkiest shopping trolley. If you sew, then the vast fabric shops here are also well worth a look. Jessica Adams edited The Holiday Goddess Guide to Paris, London, New York and Rome in 2011 with Anna Johnson, published by HarperCollins, which is also published in four separate e-book editions at the Apple Store. Jessica has been a team editor on Girls’ Night In (HarperCollins) and Kids’ Night In (Puffin) in aid of the charity War Child. 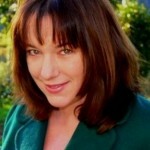 She has also worked as a team editor on In Bed With (Little Brown and Penguin) and in her own right, as the author of bestselling novels including Single White E-Mail and Cool For Cats (Black Swan). She is well known as an astrologer and her website jessicaadams.com attracts 1.5 million visitors every year.